Today was a work day for me and, as I sometimes do to get some stress relief, I paid a brief lunch time visit to the Lake Erie Nature and Science Center in nearby Bay Village, Ohio. 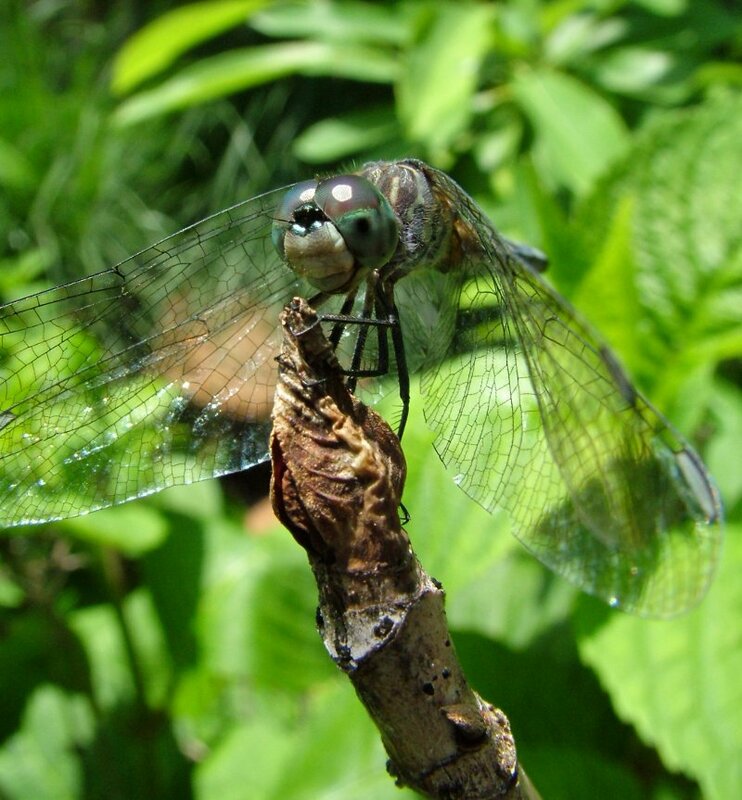 It seems like this is my "Dragonfly Summer" as I took advantage of several opportunities to photograph the insects. The creature pictured above posed at the end of a twig anchored in the Center's lovely water feature. This was a "super-macro" shot, not telephoto, so the camera lens was mere inches from the subject. Yes, it almost appears to be smiling for the camera! The 15-minute break helped me a great deal. ← Yes, Virginia, there is an Einstein! Wow! Amazing that it let you get that close.